Note that there are many spelling variations that have been used over the years. The two interactive maps, below, showing location of Kamennyy Brod. 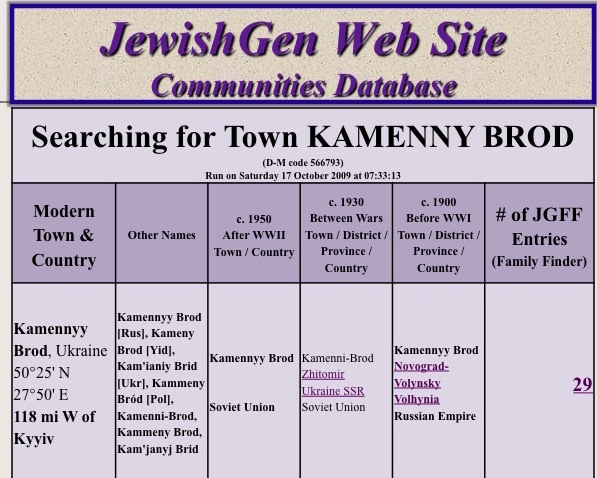 Note that Kamennyy Brod is approximately 200 km (120 miles) west of Kiev. Local area view of Kamennyy Brod.